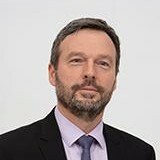 Pierre Wunsch is on the board of Banque Nationale de Belgique SA and Member of Single Resolution Board and Member of Féderal Public Service Finance Belgium. In his past career he was Principal at Electrabel SA. Dr. Wunsch received a graduate degree from Princeton University and a doctorate from Université Catholique de Louvain.